Part of me wanted to include Texas' recent losses to Radford and VCU after notching a big win over North Carolina in this, but I feel like the Longhorns are the topic of conversation too much and it's best just to let the ebbs and flows go for the next few weeks, or at least until Big XII play starts. Texas Tech head coach Marlene Stollings said that the Lady Raider’s forward would have the ultimate green light in her first season in charge of the program and that wasn’t hyperbole. At 5-2, Tech is already starting to see why Stollings was regarded as one of the best offensive minds in college basketball. Brewer went from averaging a mere 9.5 points and 5.4 rebounds per game to a team-high 18.3 points and 11.7 boards. She’s upped her minutes from around to 20 to around 30 minutes. After having never attempted a collegiate 3-pointer, Brewer’s shooting an effective 38.1 percent from beyond on 21 total attempts through seven games. It’s early and the Lady Raiders are only a game better than this time a year ago, but Stollings’ prowess is starting to rub off on players like Brewer with Tech averaging 76.9 points per game. The Horned Frogs knocked off rival SMU Wednesday night in a game that proved many reasons why TCU is a hot name in the Big XII. Senior guard Jaylen Fisher is still working his way back from rehab but provided a big boost in the form of 15 points, all coming from 3-point range. 12 of Fisher’s 15 points came in the second half. The Horned Frogs surged forward in the second half putting up 38 points on 50 percent shooting and holding SMU to under 25 percent shooting from the floor. TCU travels to Los Angeles to face USC Friday afternoon at 4 p.m. on FS1. 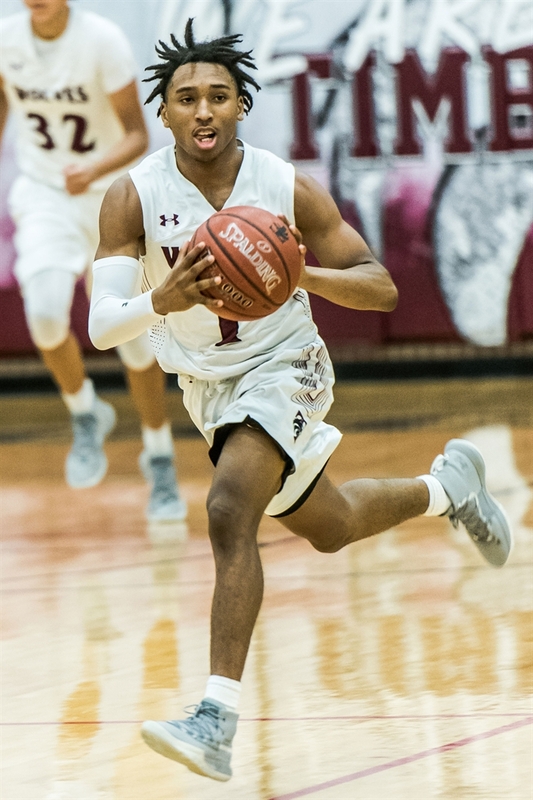 It’s not a surprise to see Mansfield Timberview the top team in TABC’s 5A rankings sitting at 15-0, but the Timberwolves have earned that ranking over the last week alone. In the Mansfield Tournament, they knocked off 6A No. 10 Hewitt Midway, No. 9 North Crowley and top-ranked Denton Guyer in overtime. Timberview followed that up with a monster win over No. 2 Northwest Tuesday night, 57-51. After a disappointing exit in the regional quarterfinals last season, Timberview looks back on track to make a state-title run early in the season. Following a humbling 67-49 loss to No. 6 Mississippi State, Texas will try and rebound while hosting its second consecutive top-tier program in the Lady Vols. The Longhorns were dominated in the paint and the Lady Bulldogs scored 19 points off of Texas turnovers. Tennessee is 14th in the nation in caused turnovers with 24.17. Texas is also still learning to bring in a new cast following the loss of Lashann Higgs to a season-ending ACL injury. Boys Basketball: No. 22 Westlake (12-2) at No. 4 Lake Travis (15-0), Tuesday December 11 at 7:30 p.m. The rankings may surprise some people who headed into the season thinking Westlake was the more talented team but looking closer at the Chaparrals’ losses (4A No. 1 Wilmer-Hutchins and 6A No. 3 Rockwall) shows the heavy competition Westlake has played compared to Lake Travis. In a one of the state’s most high-profile rivalries in football, the basketball court is proving to be just as big a clash. Westlake took all three games last season by double-digit points including the regional finals matchup, 76-60. A battle between two teams that started the season off with high expectations. Wall has lived up to the billing as one of the best 3A programs in the state with a big win over 6A Jim Ned and that Sawyer Lloyd is of the best players in the state. Liberty Hill has stumbled off the starting block with tough losses to state-ranked Flour Bluff and Pflugerville and are looking to prove that the team is more than just the graduated Sedona Prince.